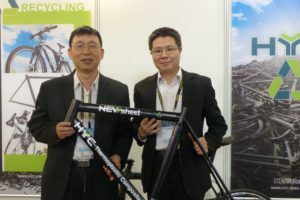 SHANGHAI, China – According to China’s National Statistics Bureau, by the end of October 2009, the total bicycle production of up-scale enterprises reaches 44.45 million units, dropping 17.9% compared with the same period of 2008, the sharpest drop since 1996. During the first three quarters, the total export value of bicycle parts dropped by 24.7% to about US$ 1 billion. From January to November 2009, bicycle export dropped by 20% to 42.75 million units. The number of bicycles exported to Europe reached 2.46 million units, dropping by 49%! The number of bicycles exported to USA reached 13.63 million units, dropping 22%. According to the statistics of the China Bicycle Association the export of electric bicycles from China dropped by 33% to 370,000 units. 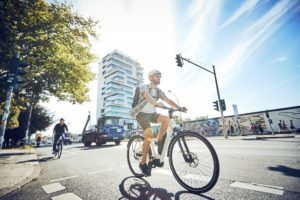 The number of e-Bikes exported to Europe stood at 190,000 million units; 10% down on the 2008 number during the same period. The number of e-Bikes exported to USA was about 25,000 units; 63% down on 2008. Since the 2nd quarter of 2009, the decreasing production and export of regular bicycles started to slow down. 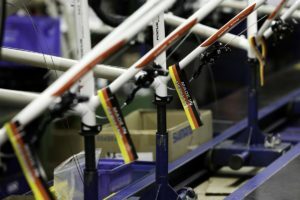 In Ocober 2009 bicycle production reached 4.53 million units, dropping by 3.7% compared with the same period of 2008, the smallest decrease in 2009. The same is true with export of bicycles. In October it reached 4.02 million units, dropping by 15% compared with the same period of 2008. This percentage was less than half of that during the beginning of 2009. 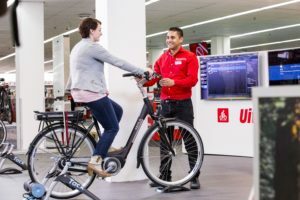 While the production and export are declining in units, the average unit value of both bicycles and e-Bikes are rising. From January to November 2009, the average export unit price of bicycles is US$ 46.40 (€ 33.13) a 4.5% increase on the 2008 value. The average unit price of bicycles exported to Europe is US$ 52 (€ 37.13), a 29% increase on 2008. The average export unit price of e-Bikes stood at US$ 377 (€ 269.25), a 24% increase on the average value in 2008 (Source: China Bicycle Association). 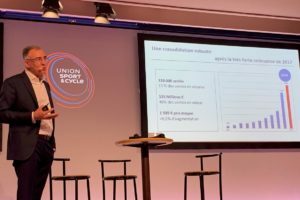 General Technical Requirements for Electric Motorcycles and Electric Scooters announced at the end of October 2009 caused a great dispute in China’s e-Bike industry. It was scheduled to take effect by January 1, 2010. At present, it is suspended. The new standards categorize two-wheelers that are heavier than 40 kg and faster than 20 km/h as e-Motorcycles or e-Scooters and are regarded as motorized vehicles. At present, there are about 120 million e-Bikes in China and 700,000 in Capital Beijing. The speed of most of these e-Bikes ranges from 30 to 35 km/h. In January 19, 2010, Ministry of Industry and Information Technology announced its decision to implement entry control of electric motorcycle manufacturers and their products. According to the entry regulations, few e-Bike enterprises are qualified to manufacture e-Motorcycles. As for e-Scooters, which are competing with e-Bikes at close quarters, the entry control will be implemented when the national standards take effect. Some e-Bike manufacturers have been recruiting technical staff from the motorcycle industry and are planning to purchase related equipments. At the same time, 70% of the motorcycle manufacturers have entered the e-Bike industry. The total number may exceed 100.